This immaculate 32 Caribbean Flybridge will not last long. New carpets throughout and new flybridge clears. 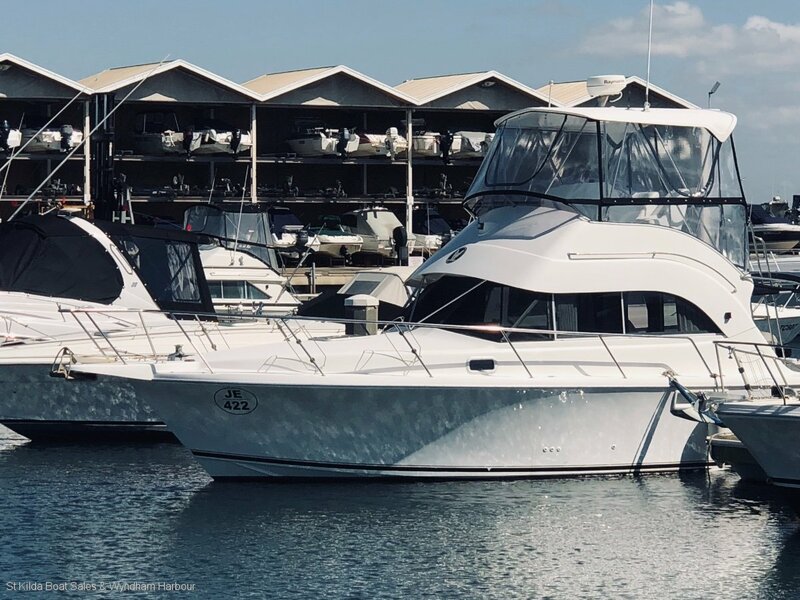 Forward cabin with double bed and plenty of storage, guest cabin with twin full size berths, spacious galley and lounge with dinette, separate bathroom, sizeable cockpit to suit any fisherman or entertainer and flybridge with small lounge. Our fastidious owner has a full service history available, serviced every 6 - 12 months. This boat will not disappoint any fisherman or family adventurer.